Jane the Virgin is skipping a week, so today I'll be discussing something that didn't get discussed when it happened. 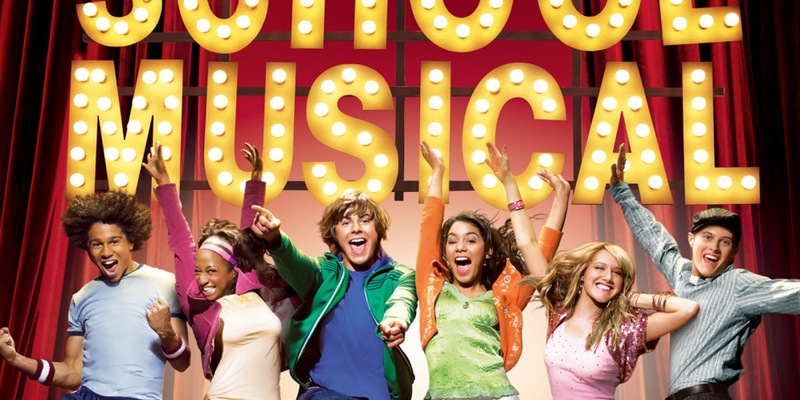 The High School Musical Reunion. Guys, these movies were my childhood. Forget the cheesy story lines. Forget the unrealistic expectations for high school. Forget the fact that Troy and Gabriella didn't kiss the entire first movie. This. Movie. Is. Life. Remember how Disney Channel used to blow up over these movies, and we'd sing along to all the karaoke special editions? Remember when Miley Cyrus had a cameo in the second movie and we all freaked out? Remember when we found out the third movie was going to be in theaters? Because I do. This movie kind of kick-started my love of musical theatre, and though it's not the best example of theatre life, it sure is one fun story to follow. There are themes of high school popularity and it's consequences, of breaking the stereotypes, of being who you want to be. Remember hip hop dancing Martha? Or cello playing skater boy? Despite the cheesiness of the way it goes about showing those themes, it was conveyed in a way that fourth grade me would understand. I would listen to the music and think, yes, I can be who I want to be. It also takes the average Romeo and Juliet story and gives it a relateable twist. Gabriella the math geek meets Troy the basketball star and bond over one thing; music. If you didn't ship Troy and Gabriella, you are lying, and I don't believe you. So when it was announced the reunion was happening, of course, our generation of viewers exploded. And it was amazing, seeing everyone come back together, just...life. You know, except for Zac Efron. Despite his absence, seeing everyone grown and living their adult lives made me happy. Because it's been so long, and I've already gone through high school and am entering my adult life. Everything is hitting me so hard. So to look back and smile...it was nice. Did you guys watch High School Musical as a kid? Feel free to discuss the memories in the comments!